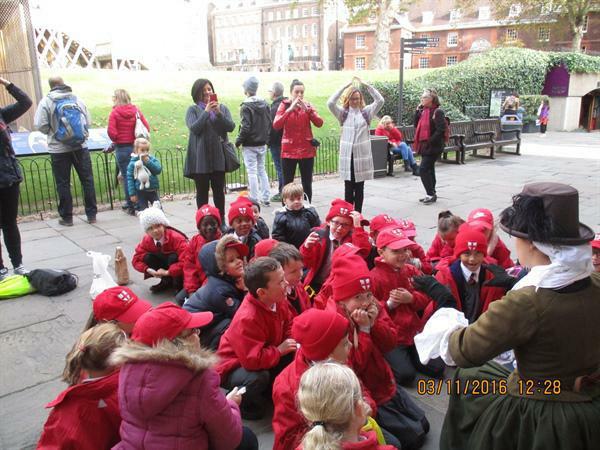 On Thursday 3rd November, St Therese and St Elizabeth classes had the wonderful experience of travelling to our capital city as part of their London topic. They set off from Shoeburyness station and on arrival at Fenchurch Street, made the short walk to the Tower of London. The children marvelled at the Crown Jewels, were amazed at the sight of the ravens and even had time to chat with a Beefeater! They also spent time with ‘Samuel Pepys’ who brought the Great Fire of London to life.